Heinz modified the artcard he got from Heike Sackmann. Four more works from Ingo, collaged, stitched and with letter prints. In stencil and airbrush technique decorated envelope and letter. Mzia latest collage with real cork. 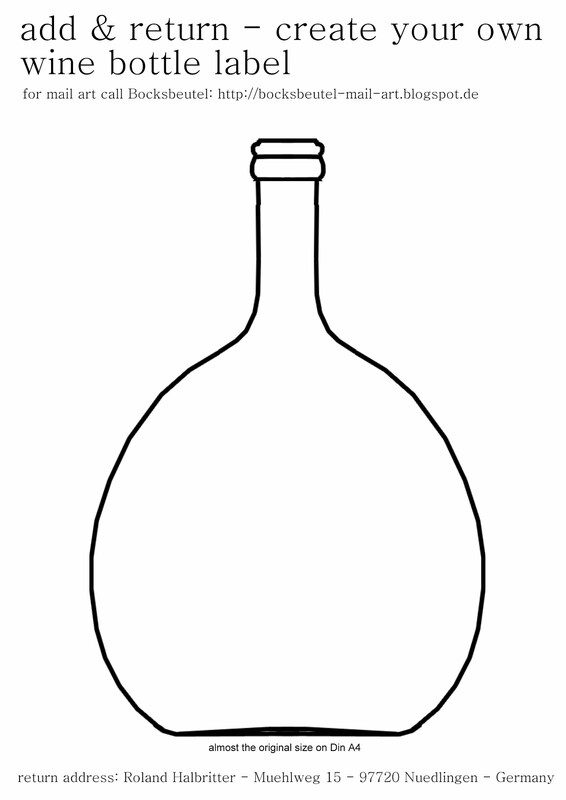 Bruna has drawn a nice design of a Bockbeutel bottle. Marina has sent a transparent cut-out postcard. The latest work pyramids from Heinz, worked on sand paper. Today this postcard came into my mailbox, which I ordered some days ago. The card was sent the 29th of August 1939, 3 days before World War II. has began, . Text on the frontside says: "Der Frankenwein vertreibt alle Sorgen"
it will become part of the Mail Art Exhibition next year. Uwe upcycled an advertising card. and a duck combined with some wordpuns. Two more collages from Heinz.